Many brides assume that they can handle making all the necessary arrangements for their wedding day, but it can become overwhelming to take on the project all by your lonesome. Planning a wedding is much like a second job, but there are actually people who do just that for a living! The benefits of hiring a wedding planner to assist you with all of your wedding arrangements are endless, but here are the most important reasons to consider hiring a wedding planner for your special day. Yes, hiring a wedding planner is an expense all its own, but the amount of money a wedding planner can save you will more than make up for it. A wedding planner specializes in finding the best vendors for the lowest cost, and they typically have strong working relationships with the most credible, reliable venues and vendors. If you haven’t planned a wedding before, and even if you have, it could become very tedious and redundant to search for the cheapest rates, and even then, there’s no guarantee that those so-called discounts will yield top-notch services. A wedding planner will already be aware of the best deals and have the best contacts to provide lower rates without sacrificing quality, ensuring that you get the very best arrangements for your wedding. 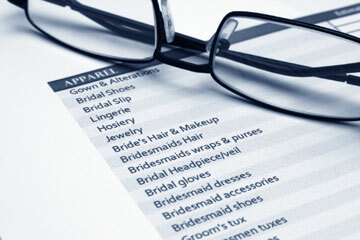 A knowledgeable and experienced wedding planner can end up saving you thousands of dollars! Your wedding day will be one of the most important days of your life, so it’s understandable that you’ll be excited and determined to focus on planning. That being said, you could spend ages sifting through various wedding websites and magazines, reviewing hundreds of companies, and searching for the very best options before you even get to the planning stage. Trying to find time to make all the arrangements, visit all the potential venues, consult with all the vendors, and schedule all the necessary appointments can easily become your only focus and detract from your job, your engagement, and your everyday life. It’s important to be involved and allow yourself the final say in each arrangement, but there are plenty of things you can trust a wedding planner to take care of for you, such as research, comparisons, consultations, and negotiations. A wedding planner will know how to broker deals and draft contracts, weed out the undesirable work, and take the pressure off of you, so that you can focus on what really matters: your partner and your engagement! If you wanted to renovate your home, you’d call an interior designer. If you wanted to plan a vacation, you’d call a travel agent. Planning a wedding is not so different from any other important venture: if you aren’t an expert yourself, you should entrust a professional to assist you. A wedding planner is an expert on weddings, which means you’ll be receiving their expertise throughout the entire planning process. A wedding planner will listen to your ideas and find the best, most affordable ways to achieve them. A wedding planner will think of arrangements that you may not have considered, special touches and added pops that can make your day even more magical. A wedding planner can help you envision your ideal wedding day and then execute it to perfection. And most importantly, a wedding planner’s job is to plan weddings, so this isn’t their first rodeo. Should you encounter any hiccups, a wedding planner will know exactly what to do to get your plans back on track. In the end, a wedding planner can make all the difference between an ordinary wedding and your extraordinary wedding. Do you want to plan your wedding or manage it? It’s hard to turn on the TV these days and not see another wedding related program. There are reality shows and movies, all glamorizing the planning process. Whether you are hooked on them or not, one thing’s for sure; they make the planning seem easy, usually because they have professional help. By now you’ve probably realized that there are way more decisions to be made than you originally thought. From save-the-dates to invitations, rings to dresses, caterers to music, photos and videos to flowers and decorations, there are so many decisions. Have you thought about hiring a professional wedding planner? No? Don’t think you need or can afford one? There are a lot of misconceptions about today’s wedding planners. Some couples think they can’t afford one while others just want to make most of the big decisions themselves and enjoy the process. Either way there’s a planning service for everyone. A professional planner will work with you to tailor your wedding to your needs, tastes, style and budget. As a matter of fact it’s their job to know all of the best wedding pros in your market. Since they regularly do business with them, they can often get you a preferential rate or additional services that other brides might not get. Still not convinced a wedding planner is for you? Consider this: It’s your wedding day. The sun is shining brightly. You’re getting your hair and makeup just right. Your wedding party is getting ready… but wait, who’s checking to see if the flowers have arrived? Who’s checking with the limo company to make sure they’re on their way? Who’s coordinating the band or DJ’s arrival at your reception venue? If you answered your Maid of Honor, is that really the right answer? No doubt your Maid of Honor is someone very special to you. It’s her job to make sure you get ready and then, you want her to enjoy the experience of your wedding, along with the rest of your honored guests. If you answered the Banquet Manager, it’s their job to ensure the reception and catering are on point, but it’s not up to them to make sure the rest of your chosen wedding vendors are where they’re supposed to be, when they’re supposed to be there. They may offer some planning help, but they’re main focus is the food and venue. There are different levels of professional wedding planning and, while I believe that a full service planner is your best guide to a beautiful wedding, you should at least consider a Wedding Day Manager, sometimes called “Day-of Coordination”. It’s really not “day-of” as they start taking over the management around a month before your wedding. That way they can work with you to hand off all of your chosen vendors, who they are, where and when they’re supposed to be and more, before you get too close to the actual day. That way you can enjoy your day knowing that you’re in the hands of a professional. Your Maid of Honor and your entire wedding party, can go from the ceremony through the photos, to the cocktails and reception and you’ll have the peace of mind knowing that a professional is watching over the details. Not just anyone, but someone who has the experience to handle anything that comes up. In my over 20 years in the wedding industry I know, first hand, that not having a professional planner is one of the two biggest regrets couples have after their weddings (not having video is the other). So, before you write-off hiring a planner, at least have a conversation with one or two and see what they can do to help you. Whether you want to make all of the choices or need help with a few or many, I’m sure you’ll find that, like the movies, your wedding’s success will be easier to achieve with professional assistance.